R-9 is a UK design studio that builds "functional art". Which means they take something awesome, and make it awesomer. 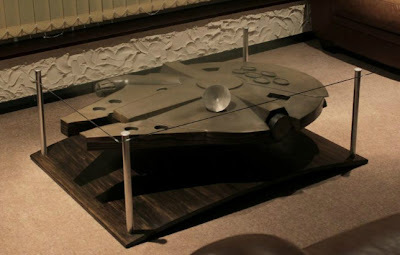 Like this Millenium Falcon coffee table. Made of bronze and glass, this beauty goes for £950. Which, for the true aficionado, isn't too shabby... right? 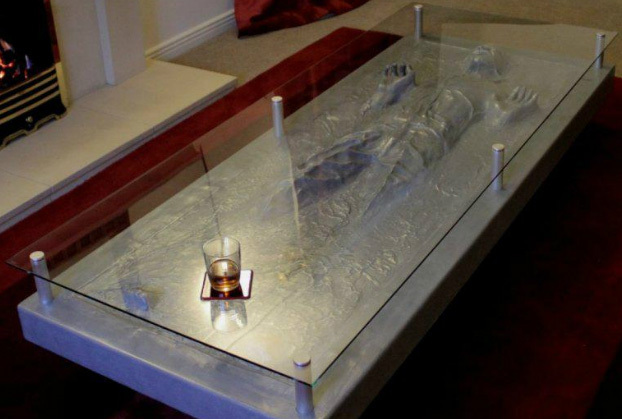 I mean, I'm moving next month and need new furniture for our living room, right? It shouldn't cost too much to have sent over from the UK, right...?